Upgraded 1/2″ hose is the perfect diameter to supply a steady stream of cold air into the tower, and allow ample return air into the kegerator. Larger diameter hoses, like those used in economy tower coolers, restrict the flow of return air into the kegerator, resulting in inefficient cooling of the tower. We have done our research, and the 1/2″ hose coupled with our powerful blower will cool your beer tower better than any other tower cooler on the market! *UNIT IS EQUIPPED WITH TWO SWITCHES – A SWITCH ON THE POWER CORD, FOR THOSE WHO PREFER NOT TO OPEN THE KEGERATOR DOOR WHEN TURNING THE TOWER COOLER ON AND OFF, AND A ROCKER SWITCH ON THE TOWER COOLER ITSELF, FOR THOSE WHOSE OUTLETS ARE BEHIND THE KEGERATOR, MAKING IT DIFFICULT TO TURN THE TOWER COOLER ON AND OFF FROM THE POWER CORD. 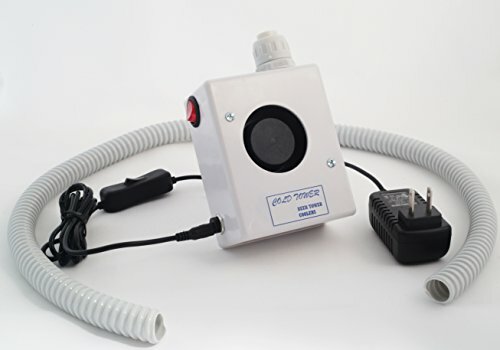 Upgraded 1/2″ connector and hose allow more airflow than the standard 3/8″ hose and connector used on our standard tower cooler, providing MAXIMUM cooling. 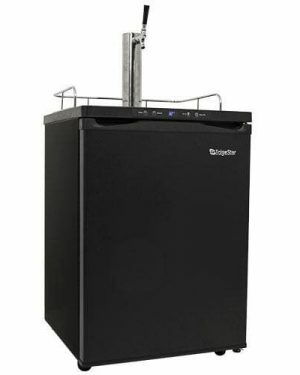 COLDTOWER KEGERATOR TOWER COOLERS are the all around BEST tower coolers you can buy!!! 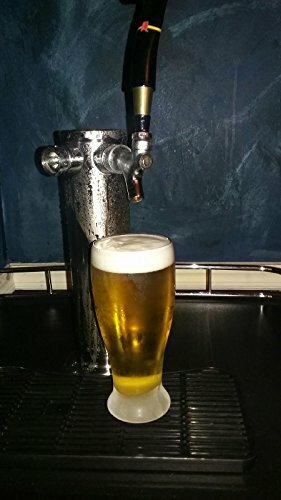 They cool your beer tower, ELIMINATING EXCESS FOAM, and making even the first beer of the day ICE COLD. When you want your house or car as COLD as possible, what do you do??? BLAST the AC!!! Same idea with your beer tower!!! I have constructed and tested many different designs in my years of producing tower coolers, and have found the most important factor in cooling a beer tower is the rate of airflow into AND ample return air out of it. Our tower coolers are equipped with POWERFUL 34 CFM BLOWERS which BLAST COLD AIR into your beer tower!!! 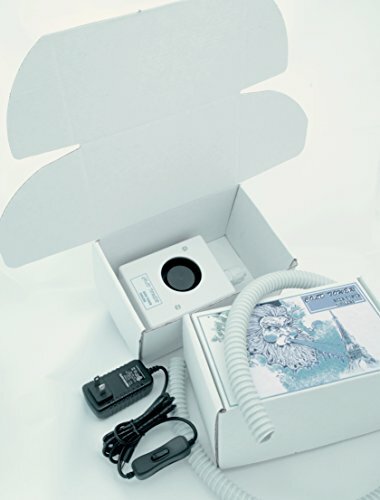 The combination of the blower being so powerful and the fact that it blows DIRECTLY into the air hose (as opposed to a computer box fan, like you will find on my competitor’s products. 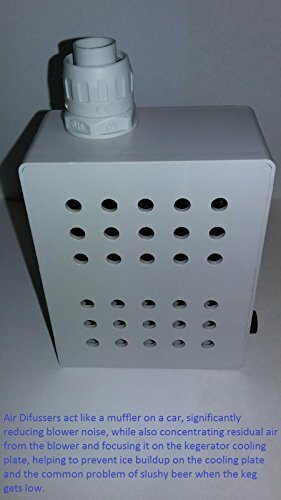 They blow some air into the hose, but most of it is lost, blowing against the wall of the box) enables our units to cool a beer tower better than any other tower coolers on the market. During my tests, I found the 34 CFM blower resulted in tower temperatures 20-25° lower than when using a computer box fan. The end result??? COLDER BEER and LESS FOAM!!! If you are not completely satisfied with your Coldtower, we will refund 100% of your money within 90 days of your purchase. Full 1 year warranty against defects on all units bought after 1-1-2017! Full 1 year warranty against defects on all units bought after 1-1-2017! Our prices are our every day prices. We do not run phony “sales” like our competitors. Their every day price is the same as their “sale” price. This is done to make customers think they are getting a deal. INCLUDES COMPLETE KEG TAPPING KIT: These kegerators come with all of the components necessary to pressurize and tap kegs of beer, including a CO2 tank, dual gauge regulator, hoses, keg couplers, clamps, and washers. You will be up and running quickly… all you’ll need to do is get the CO2 tank filled and provide the beer! 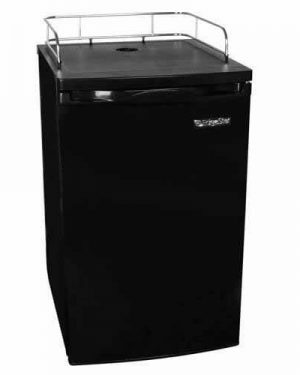 LARGE INTERIOR: This home-brew keg cooler features a spacious interior that can easily hold up to three 5-gallon Cornelius ball lock home brew kegs, so you can keep multiple kegs stored at their ideal temperature and ready to dispense. 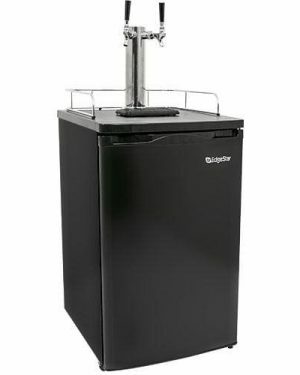 When you’ve run out of home-brewed beer to dispense, or whenever you need some additional refrigerated storage, this versatile kegerator can be easily converted into an all-refrigerator with two adjustable shelves to hold your food and beverages. 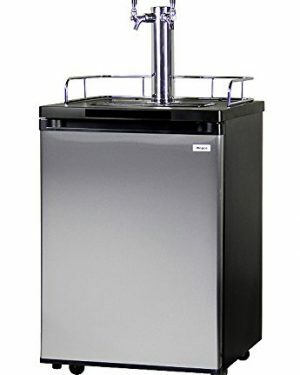 SLEEK AND STYLISH DESIGN: The 33″ H x 23-11/16″ W x 23-15/16″ D kegerator cabinet has an elegant design that will easily incorporate into any environment. 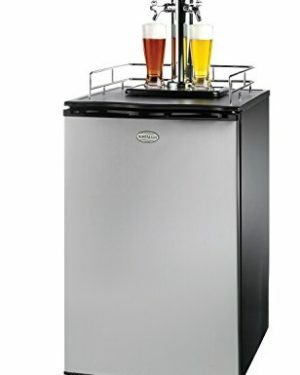 It is mounted on four locking casters so that it can be easily moved from the kitchen to the home bar. It also has a chrome guard rail and a removable flush-mount drip tray mounted in the top that collects spills and can be easily cleaned in the dishwasher.